Los autores de este libro, con isbn 978-84-8323-880-6, son Caroline Nixon y Michael John Tomlinson, esta publicación tiene ciento tres páginas. Este libro está editado por Cambridge University Press. Su andadura comenzó en la decada de los noventa en Comunidad de Madrid. Tiene en su haber más de cien textos en catalogo. Dicha editorial tiene publicaciones sobre todo de Libros De Texto De Inglés. El catálogo de Cambridge University Press cuenta con las siguientes colecciones: Gramática, Lecturas Graduadas y Diccionarios. En la editorial han publicado publicaciones Paul Edmondson, Rebecca Cassidy, Peter Lamont, Stanley Wells y Charles Tripp. 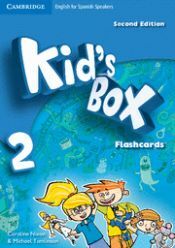 Otros libros de Tomlinson, Michael John son Kid's Box For Spanish Speakers 4: : Wordcards, Kid's Box For Spanish Speakers 3 : Flashcards, Life Adventures. Pupil's Book. Level 2, Life Adventures Level 3 Pupil's Book, Life Adventures Level 1 Teacher's Book, Life Adventures Level 1 Pupil's Book, Life Adventures. Pupil's Book. Level 5 y Life Adventures Level 1 Activity Book With Home Booklet And Online Activities. .
Otros libros de Nixon, Caroline son Life Adventures. Activity Book With Home Booklet And Online Activities. Level 2, Life Adventures. Activity Book With Home Booklet And Online Activities. Level 5, Kid's Box For Spanish Speakers Level 1 Pupil's Book, Kid's Box For Spanish Speakers 5: Class Audio Cds, Kid's Box For Spanish Speakers 3 : Wordcards, Kid's Box For Spanish Speakers 3 : Class Audio Cds, Kids Box For Spanish Speakers, Level 5 : Pupil's Book y Kid's Box For Spanish Speakers, Level 1 Wordcards. .